The VIA EPIA-P900 Pico-ITX packs in a VIA Eden X2 dual core processor and the VIA VX900H Media System Processor on a platform about the size of a business card. Based on the incredibly compact Pico-ITX form factor, measuring 10 cm × 7.2 cm, the VIA EPIA-P900 is the first dual core Pico-ITX board featuring a 1.0GHz 64-bit VIA Eden™ X2 processor and the VIA VX900H media system processor. This combination allows for smooth playback of the most demanding video formats at high resolutions of up to 1080p, and makes the VIA EPIA-P900 a superb choice for a range of devices including today's next-generation mobile devices in health-care, logistics, fleet management and other vertical market segments. 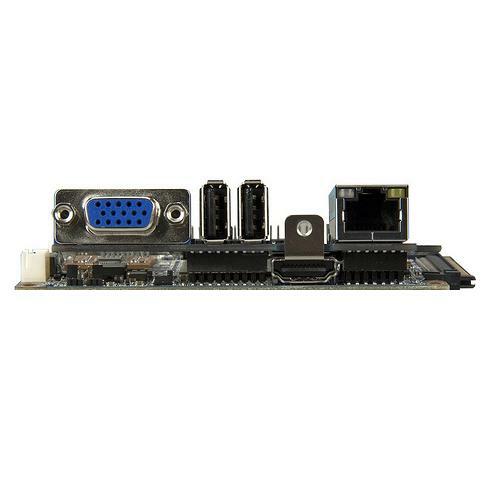 On board pin headers provide support for an additional of 5 USB 2.0 ports, an LPC connector, SMBus connector, PS/2 support, audio jacks, LVDS, 4 pairs of DIO and two UART ports. Rear I/O includes one HDMI port, one VGA port, 2 USB 2.0 ports and 1 GigaLAN port.